Some of you weren't sure if Fit Mommy Secrets is right for you. Here are the most popular questions I have been getting by email and on Facebook, and their answers. Are these exercises that you do with your baby? No, the Fit Mommy Secrets includes only exercises you do on your own. While I have written numerous programs for training with your baby, that is something your baby might be or not be in the mood for. I wanted you to have a recovery program that you can do easily, anywhere and anytime. I want to go back to the gym, how can I use the manual there? It's easy to adapt Fit Mommy Secrets to your warm up. Choose Phase I exercises for your warm up and then continue with your regular work out plan. As you get stronger, move to Phase II and III to choose exercises for warm up. My sister is still pregnant. Are these exercises good for her? While a lot of these exercises can be done during pregnancy, the Fit Mommy Secrets program is designed for successful recovery. 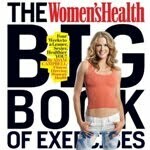 She can check out the prenatal workouts I designed for the Women's Health Big Book of Exercises. Meanwhile, have your sister read the Fit Mommy Manual so you know what to expect after birth. The only time I have to train is in the afternoon when my mother in-law is helping me. I know it is best to train in the morning, but I can't do it then. What should I do? There is no best time for training. Just do your exercise when you can and don't worry about it! I really want to lose weight fast. Is this a weight loss workout? Weight loss will happen because you will follow the eating program in the nutrition section of the manual. It's easy to follow, and combined with the exercises, you will experience steady fat loss. Please take it easy and do not rush weight loss after pregnancy, as your body is still recovering and the demands of nursing are huge.